As the goat is butchered, certain organs are eaten while butchering, considered a true delicacy. I believe this was one of the kidneys. The blood is never wasted. 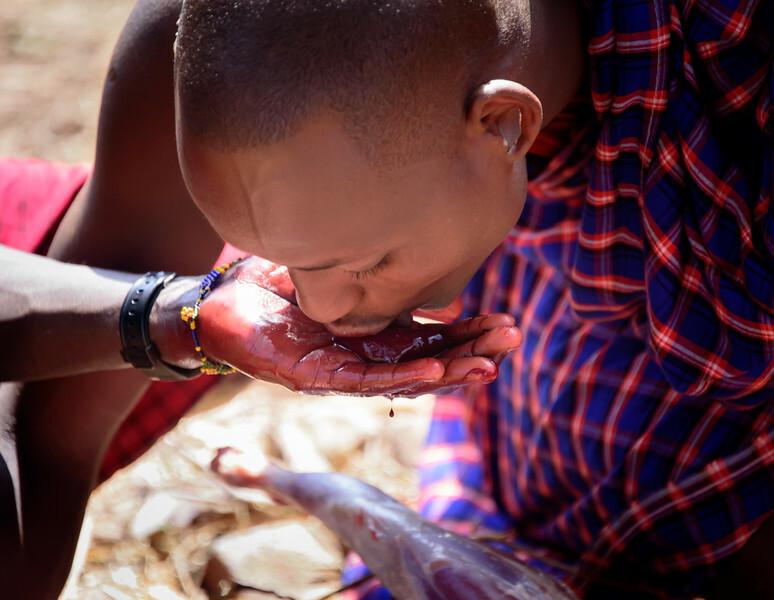 The Maasai believe that the diet of meat, blood, and milk make them strong. Every drop from the butchering process was used - passed first in a cup for anyone who desired fresh goat blood; what was leftover was than made into a soup which also contained other organs, fluids from the butchered goat.